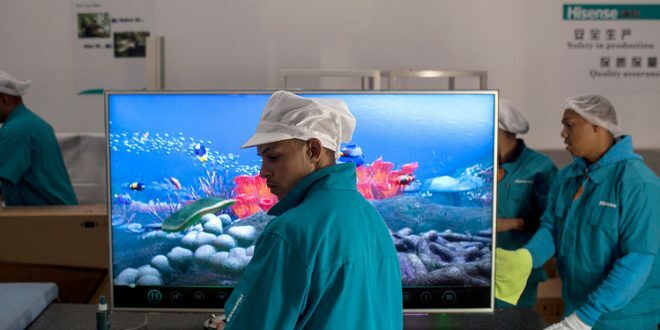 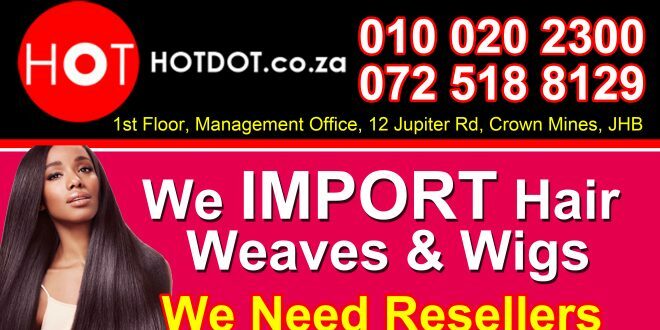 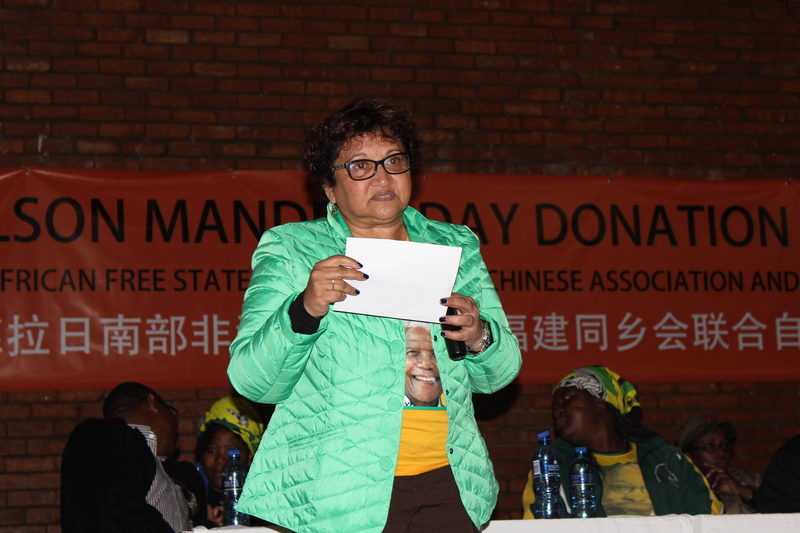 The Free State Fujian Overseas Chinese Association had a busy Mandela day this year. 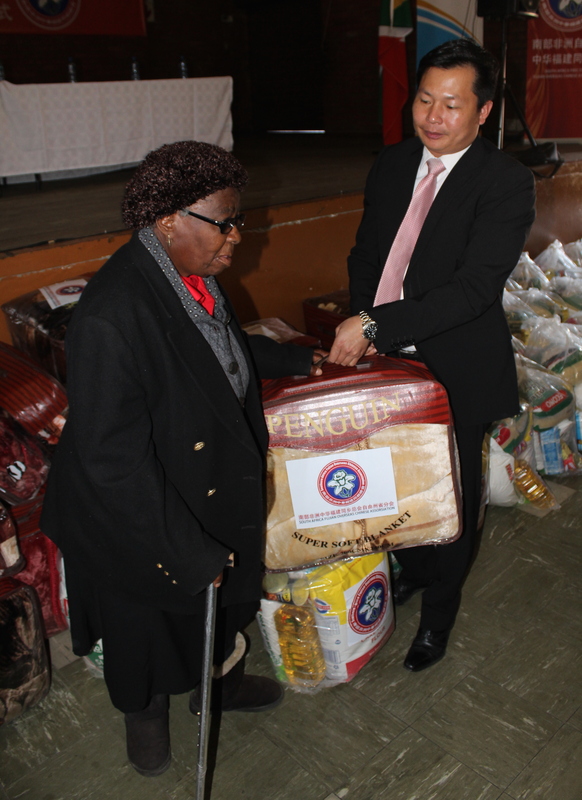 They started the day off by handing out food parcels and blankets to the elderly Metsimaholo community members at 2016 Nelson Mandela Day Donation Ceremony. 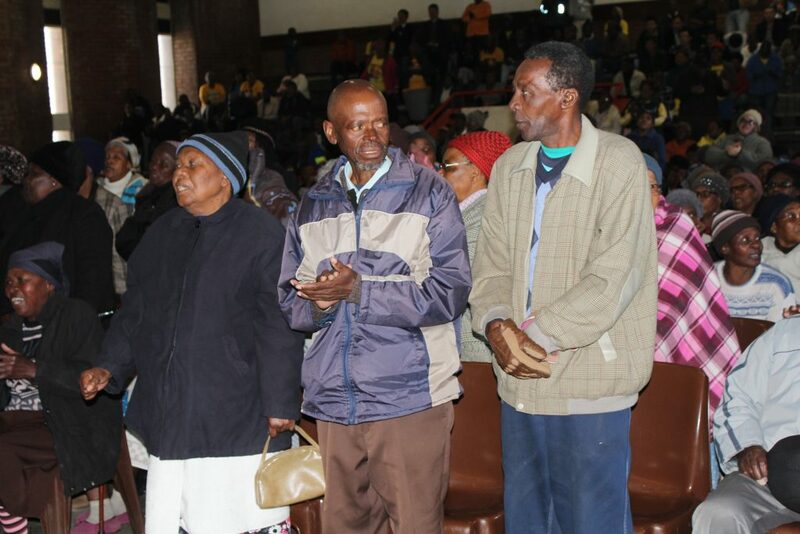 The elderly men and women were hosted a the local community hall. 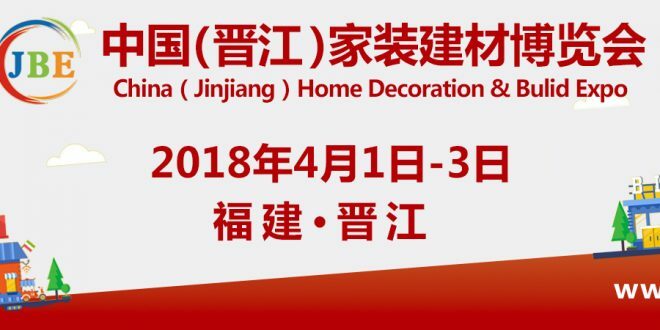 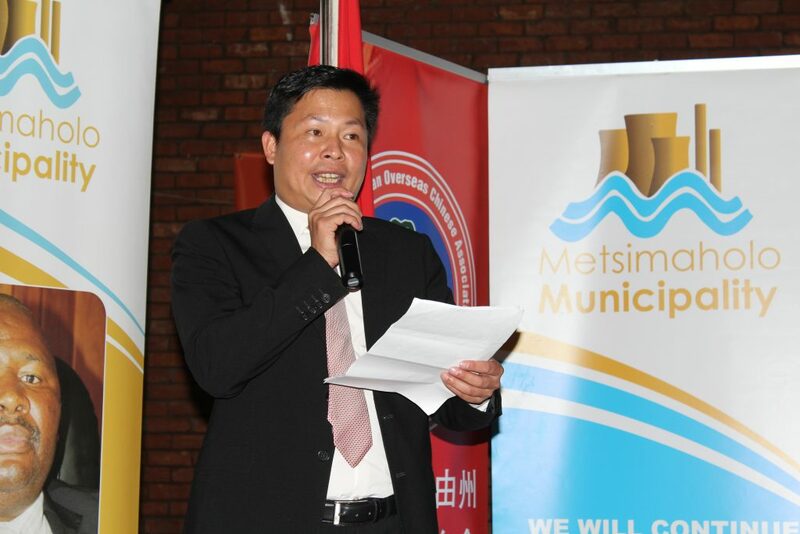 In attendance at the Ceremony was ANC Secretary General Mrs Jessie Durante, Mayor of Metsimaholo Mr Brutus Mahlaku, Consulate General of China Mr Yang Peidong and Chairman of Free State Fujian Overseas Chinese Association Mr Jimmy Shi. Mr Jimmy Shi delivers his speech at the 2016 Nelson Mandela Day Donation Ceremony. 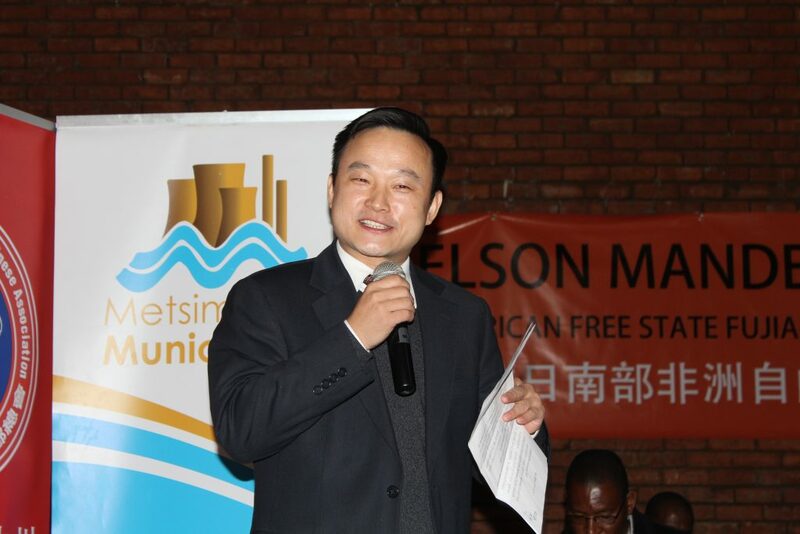 Mr Yang Peidong 2016 Nelson Mandela Day Donation Ceremony. 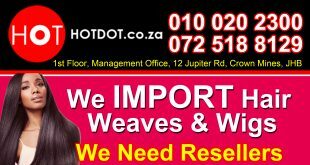 Mrs Jessie Durante delivers her keynote speech. 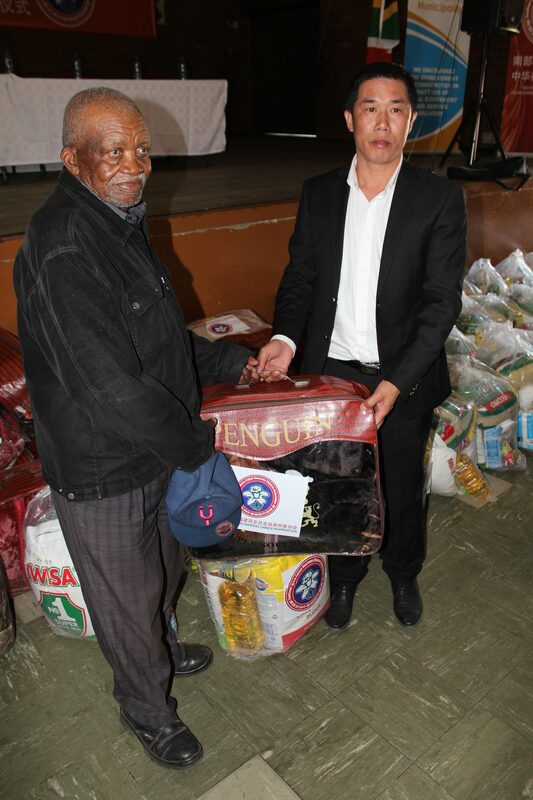 Mr Yang Peidong handing out food parcels and blankets to community members. Mr Jimmy Shi handing out food parcels and blankets community members. 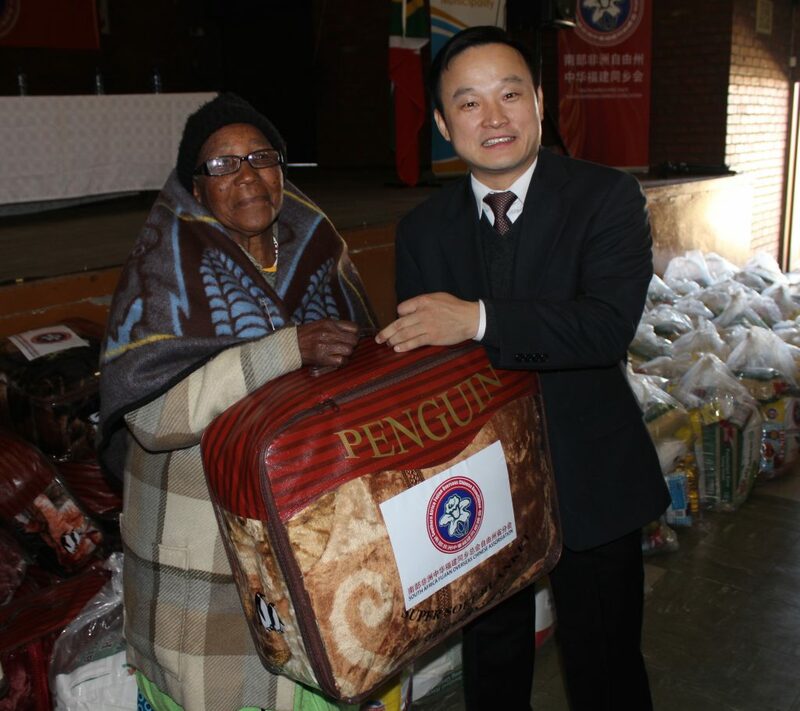 Mr Zhuang handing out food parcels and blankets community members. South Africa Fujian Overseas Chinese Association members and Metsimaholo Municipality members. 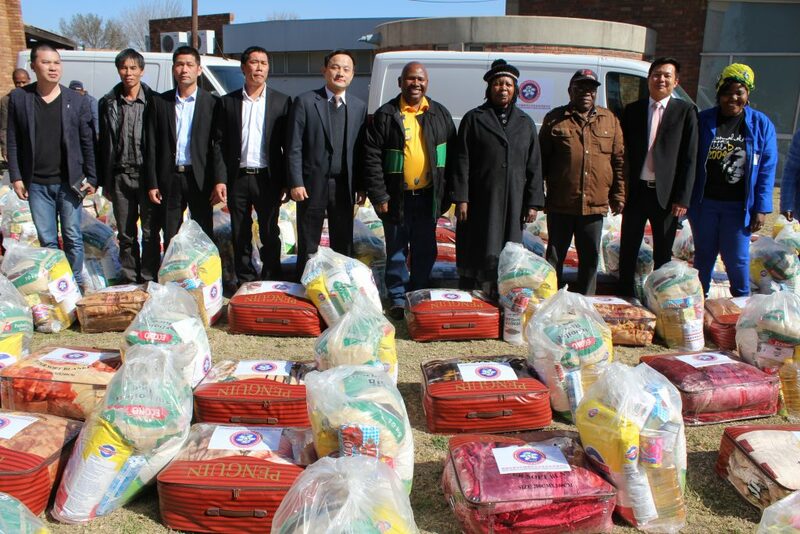 Free State Fujian Overseas Chinese Association members and Metsimaholo Municipality members at the 2016 Nelson Mandela Day Donation Ceremony.